Photo by Lina & Tom – Wedding & Event Photography from the Worboys Productions Theatre Farm Retreat 2016. We can finally announce that our next project, led by Helen, will be supported by Arts Council England and the National Lottery. 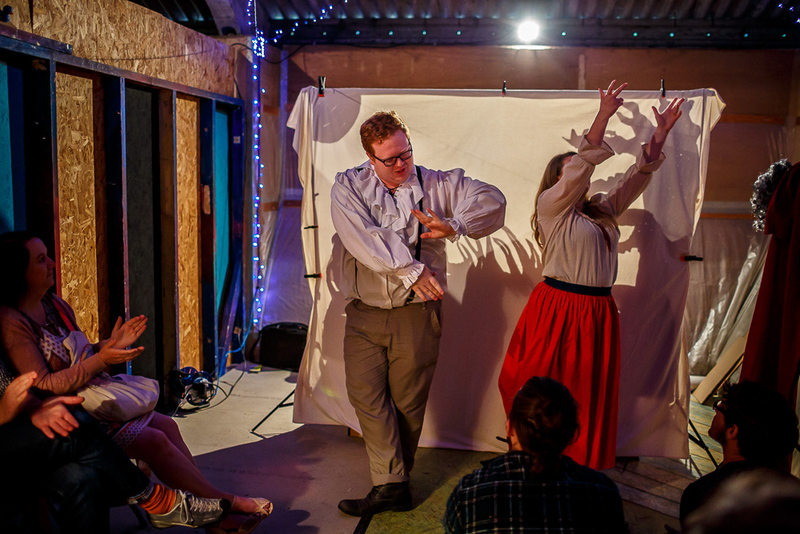 We are developing our performance of ‘The Ugly Duckling & Other Tales’ that we began working on whilst on the Worboys Productions Theatre Farm Retreat last Summer. For this stage of development, we will be working with The Bike Shed Theatre and Sam Worboys as well as a host of other great artists including Emily Snee, India Isaac, Luke Jeffery (Wandering Tiger) and Clare Willcocks Art. We are also performing UnPacked Family Theatre Festival 2016 and Exmouth Library, as well as working with a local school in Exmouth to help us develop the piece. Many thanks go to Sam Worboys, PaddleBoat Theatre Company, The Bike Shed Theatre, Dan Baker, Rosie McKay for helping us get this project off the ground, with advice and support. And thanks to Rooted Moon International Theatre Festival and Theatrefullstop .